What does the Hillsborough disaster in England on April 15 1989 and Berwick Lodge Primary School in Australia on September 18 2017 have in common? The answer is Wakakirri – an Australian national story-dance festival for primary and secondary school students – held this year at Hamer Hall in Melbourne. Every year, the Wakakirri festival inspires and motivates hundreds of schools to tell – or retell – great stories in the form of dance. From fairy tales to swashbuckling adventures, Wakakirri has it all. 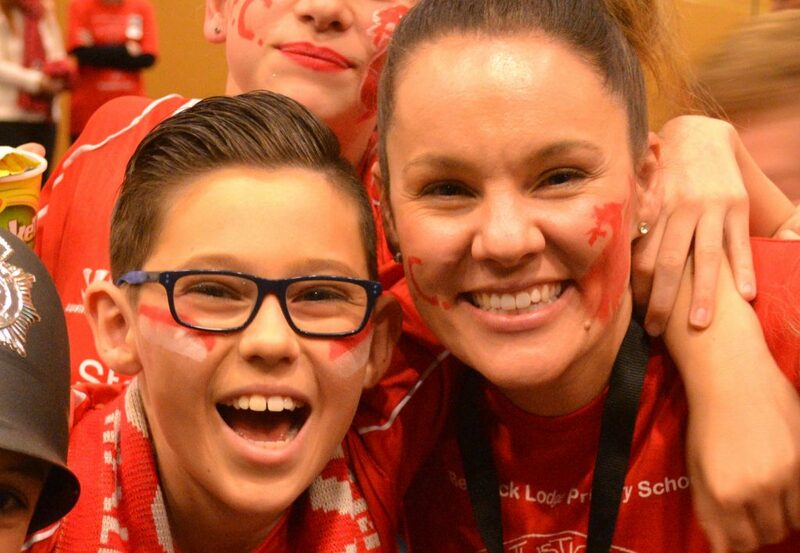 This year, Berwick Lodge Primary School’s Performing Arts teacher, Mrs Lorraine Montgomery decided – in consultation with her Grade 5/6 student dance committee (and colleague Ms Jacqui Quelch) – to choreograph a story-dance about an event that transpired long before most of the team were born – that of the infamous 1989 FA Cup semi-final game between Liverpool and Nottingham Forest. The Hillsborough disaster – as it is known – resulted in 96 fatalities and 766 injuries. Fans were crushed to death due to overcrowding in the Hillsborough football stadium and eventually – after a lengthy trial – the courts determined that the victims were unlawfully killed. Mrs Montgomery, a wife and mother of two eager soccer fans herself, wanted to tell the story in memory of the ninety-six perished souls. After learning about the tragic events surrounding the disaster, the school students felt equally passionate about promoting the truth and worked hard for months rehearsing and building props in preparation for their emotionally charged Wakakirri dance at Frankston Arts Centre on August 24. It was a story they were ardently engaged in and when it was time to perform ‘96’ in front of an audience of over five hundred people – including judge and regular presenter on ABC TV’s Play School, Alex Papps – everyone was left spellbound. The performance was expressive and eloquent. It articulated the sadness of the tragedy, but elevated the morality and justice of the final court ruling. It was – as Mr Papps announced – “beautifully performed”. The performance earned a lengthy applause from the audience and a special award for “Best Historical Story”. It also won a “Best T-shirt Design” award – a design that was drawn by an artistic and imaginative Grade 6 student. And to top it all off – and much to the excitement of the ninety-two students who performed – it was announced that the performance was to progress to the State Finals at Hamer Hall in Melbourne on September 18. From an educational perspective, the performing arts can be overlooked in the curriculum as literacy and numeracy often take centre stage. Tests and assessments are important teaching and learning tools, but so too are opportunities for students to showcase their skills and talents in other areas of the curriculum. Wakakirri – a word that deprives from the Wangaaypuwan people meaning “to dance” – is one such opportunity. “Wakakirri is one of those priceless learning experiences, the value of which, cannot be measured in a test, yet leaves everyone with memories of a time well spent” wrote Berwick Lodge Principal Mr Henry Grossek in his weekly newsletter to the school community on August 24. As Berwick Lodge prepares for the next stage of the Wakakirri competition, it is important to remember for whom this tribute is for. Mrs Montgomery is proud of her students and pleased that their story-dance will be performed again to an even bigger audience later this month. To coin a Wakakirri phrase, “Chookas” to all the students – from around the state – performing at the State Finals in-front of 2,661 attendees at Melbourne’s Hamer Hall on September 18. Written and researched by Rob Kelly. Originally published online and in-print in the Berwick News at https://issuu.com/starnewsgroup/docs/2017-08-31_bn_30 on August 31, 2017.